The low-cost S5 adapter The ACCON-COM-Kabel is a low-cost adapter to connect a PC with a S5 PLC. The voltage supply is effected via the PLC interface, thus an external voltage feed is not necessary. S5 adaptor with USB Connection. 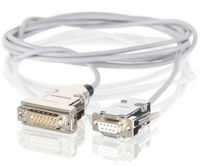 The ACCON-COM-Cable USB is an adaptor to connect a PC with a S5 PLC. It is fed via USB. Therefore, an external power supply is not necessary. 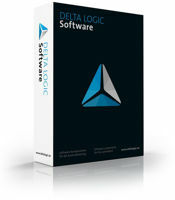 S5 programming system proven and tested for many years. ACCON-PG is a proven S5 programming system for all controllers from AG 90U to AG 155U. The programming languages STL, LAD and SCF are supported.